At Impressive Carpet Cleaning Beenleigh we believe the cleanliness of your home cannot be substituted with anything else and must be closely watched if you and your family are to be in a safe environment. Oftentimes, we neglect even the simplest exercises we need to carry out in our homes such as carpet cleaning, pest management, tile and grout cleaning, and upholstery cleaning because of our busy lifestyles. Impressive Carpet Cleaning is a locally owned and operated cleaning company in Logan founded with the specific mission of helping you clean your carpets, tiles, and upholstery. To enable us to do this efficiently, we have invested in state-of-the-art machines as well as highly trained and experienced staff. We have assisted homeowners in Beenleigh, Gold Coast, Logan, Bayside, and Brisbane to clean their carpets and we believe we can do the same to you. With over 4 decades of hands-on experience in attending to family homes, we have developed a wide range of services that you will in no doubt benefit from. Each of the services we offer is not company-driven, but rather customer-driven. This means they have targeted services based on the needs of our customers. The comfort of a luxurious and warm carpet under your feet is one of the most satisfying experience. While it is true that carpeting adds a lot of pleasure and beauty to homes, the everyday rolling, jumping, and walking can take a toll on this treasured asset. It is therefore important and rewarding to ensure your carpet is cleaned regularly so that its life is extended and your investment protected. 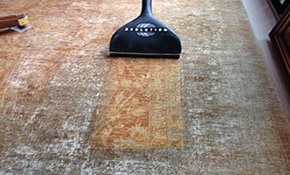 There are options in carpet cleaning that you can pursue as a homeowner. For instance, you can get rental equipment and deep clean your carpets. That said, you must appreciate that a little bit of training can make a difference in how you clean your carpet. Therefore, most people would prefer trained technicians who know the exact pressure to apply when cleaning and the best cleaning products for your type of carpet. We recommended that you clean your carpets and inspect them regularly. The advantage this brings is that any developments will be noticed and attended to before they take a toll on your carpet. • Light soil – This can be removed through vacuuming done once per week. As soon as you notice spots on your carpet, you should clean them immediately. • Medium soil – If your carpet has this traffic soil rating, it should be vacuumed at least twice per week so that the dirt doesn’t work its way into your carpet fibres. • Heavy soil rating – This is common in families that have pets. Vacuuming should be done many more times per week with some homes requiring up to 7 weekly vacuum cleaning sessions. For restorative cleaning, contact a professional carpet cleaner in Logan. It is mostly done semi-annually in heavy soil carpet contamination, annually in medium soil traffic rating, and once in every two years where the traffic soil rating is light soil. Remember, you can easily eliminate allergens and dust mites trapped in your carpet fibres, remove stubborn stains and spots, as well as reduce the wear and tear effects particularly in high-traffic areas by simply cleaning your carpets regularly. For carpet cleaning in the in Beenleigh, Gold Coast, Logan, Bayside, and Brisbane call today. Imagine you are having a family picnic or just a get together in your home and you spot a cockroach, spider, or mouse doing rounds in your living room. This is not only an eyesore but also a sign that the cleanliness in your home is wanting. Over the years, Impressive Carpet Cleaning has been taking care of bugs and critters on behalf of families in Gold Coast, Brisbane, and Bayside. However, pest control is not all about professionals because you too can help fight their spread with simple tips and techniques. • Establish their entry points and block them – Doors, windows, and screens have often been used by pests in entering your home. To prevent this and put your first line of defence, ensure any gaps and holes in these entry points are properly sealed and repaired where necessary. • Clean your kitchen – Ants and other insects are easily attracted by crumbs that fall on your counter or floor. Therefore, wiping your counters and keeping your food in a safe place can help deter this. • Remove standing water – This often attracts mosquitoes and other water-loving bugs. Ensure you check for leaks and any potential areas where water can pool around. • Maintain your yard – A well-maintained garden can help discourage hideous pests from nesting. Any trees and bushes around your homes should be well trimmed. • Inspect outdoor furniture and swings – The corners and chains of your swing sets, as well as your outdoor furniture, may harbour egg sacks and spider webs. Ensure you remove them as soon as you spot them. Where the menace of bugs and pests is overwhelming, you can look for a local pest control service to help you in eliminating them. Impressive Carpet Cleaning usually takes inventory of your pest issues and thereafter creates a personalised plan of keeping them away. 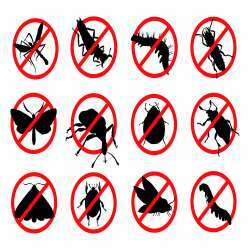 While there is so much you can do in preventing pests around your home, at times it pays to hire a pro. Impressive Rug Cleaning services Beenleigh, Gold Coast, Logan, Bayside, and Brisbane Area. The material, size, and construction of your rugs are key components in your rug care. Large rugs should be vacuumed to remove dirt and where the then rug is reversible, it is important to vacuum it on both sides as this removes grime and grit. If you have a pet, chances are your rug will have pet hair stuck in its fibres. To remove pet hair, use a stiff brush and comb gently in the direction of the rug nap. Because of the foot traffic over rugs, they should be turned once or twice per year so that the extra stress does not wear them out. Before deep cleaning small rugs, ensure you consult their care labels because some ought to be spot cleaned, dry cleaned or laundered. Ensure you also test for colourfast before cleaning. Some rugs may have tough stains occasioned by fat-based foods, paints, gum, or even coffee and tea. If it is difficult for you to remove these stains, consult Impressive Carpet Cleaning to clean your rugs in the Beenleigh, Gold Coast, Logan, Bayside, and Brisbane Area. Pollen, dust, food crumbs, and germs are hard to avoid, but you can clean and refresh your furniture regularly to bring new life to your home. 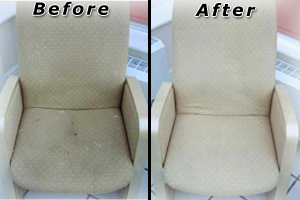 Quality upholstery cleaning requires that you do not use harsh chemicals or soaps because this can leave a sticky residue which can be harmful to your children and pets. The benefit of deodorising and sanitising is that it helps in eliminating bacteria and other allergens such as pet dander, dust mites, and pollen. When preparing for upholstery cleaning, you should remove clutter, push your future away from the walls, and create access paths for the cleaning exercise. Any problem areas should be noted well in advance and taken care of during the cleaning exercise. 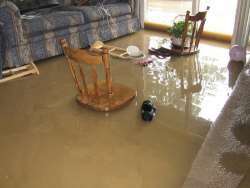 Water damage should be addressed immediately it occurs. This is because when left unattended, it can lead to massive long-term damage that can have a serious impact on your home and the wellbeing of your family. 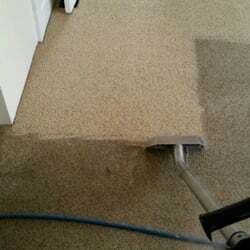 Through trained water damage experts and state of the art equipment, Impressive Carpet Cleaning can help you assess the extent of the damage, extract the water, dry and dehumidify the affected areas and lastly clean and sanitise your surfaces to restore your home back to what it was before the damage. With quick emergency response, you can rely on our service. Stone or ceramic tiles whether in entryways, bathrooms, kitchens or even outdoors form one of the nicest architectural components in any home. Their durability makes them an excellent investment any homeowner would want to have. Unfortunately, tiles and grout are vulnerable to some of the unhealthy elements around your home. With time, dirt and grime build up and penetrates in between the porous joints of your tiles. Traditional cleaning methods have been successful to some extent but the cleaning process can best be accomplished in a hassle-free way through a specialised cleaning process. We clean and preserve all tiled surfaces including countertops, showers, and bathrooms. Our cleaning process is not over until we apply sealers and protectors on the tiled and grouted surfaces. We know you can do this on your own but we are inviting you to experience first class tile cleaning services right delivered at your convenience. At impressive Carpet Cleaning, our goal is to clean your surfaces, carpets, tiles, and upholstery in the most professional, convenient and cost-effective way possible. Get in touch with us today and let our experts work with you for a clean and welcoming home.